This pendant comes from thinking about the Vikings and their surprising ability of navigation with the techniques of the time. They even have arrived to America with their famous Drakkar. Some authors propose the use of a "sun stones" sometimes mentioned in the texts, such as compass. It would have allowed them to navigate without getting lost, even in bad weather. 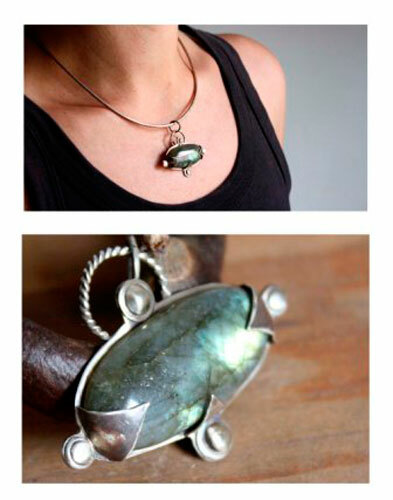 One of the proposals for this stone sun would labradorite. By its polarizing ability, it would concentrate the sunlight and become brighter oriented in the direction of this star. It would have allowed the Vikings to navigate by the sun, even in bad weather. 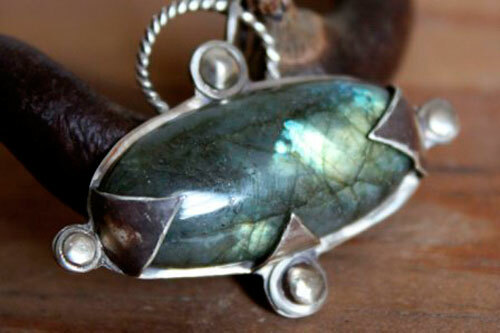 Myth or reality, it was interesting to work this beautiful labradorite with multiple green and gold reflections in connection with this idea. Therefore, I set this oval semi-precious stone on a silver sheet, giving it the shape of a compass rose. A hemisphere welded to the silver sheet represents each cardinal point. 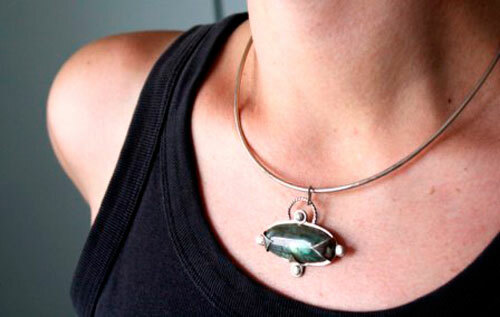 The claws that support labradorite are triangular to recall the theme of direction. 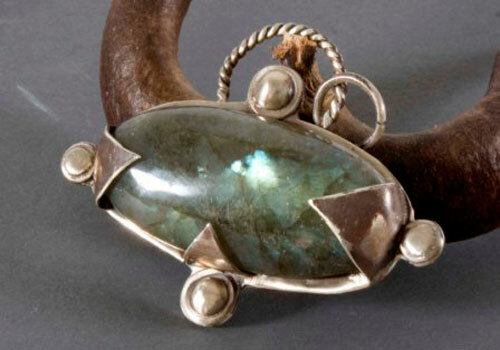 The back of the pendant is openwork circle to illuminate the stone. 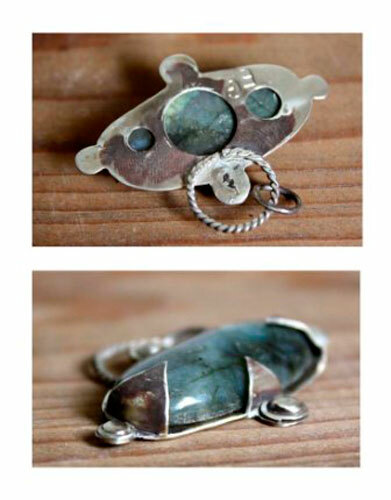 This pendant measures about 4.5 x 4 cm. 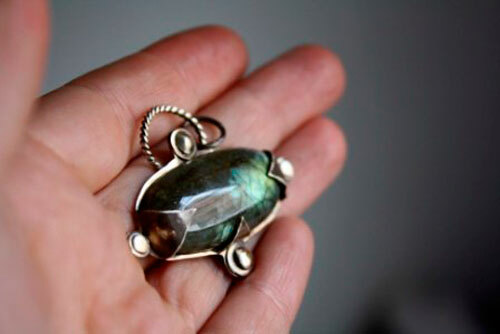 Tag: jewelry, sterling silver, pendant, stone, cabochon, labradorite, blue, green, gold, intense, romantic, ecological, oxidized, gift, birthday, unique, stylish, mothers day, crafts, handmade, viking, wind rose, compass, orientation, sunstone, legend, myth, navigation, Viking ship.